IOWA CITY, Ia. – Coming off a disappointing collapse in a road defeat to Virginia Tech in the ACC–Big Ten Challenge, the Iowa Hawkeyes were looking to establish themselves as Big Ten conference play opened against Penn State on Saturday. 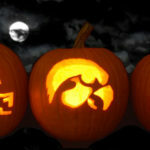 Iowa had 18 turnovers in a 77–73 loss in which the Nittany Lions never trailed Saturday afternoon at Carver-Hawkeye Arena. Tyler Cook led the Hawkeyes with 23 points, and energized the crowd with several monstrous dunks, but it was not enough to stop Penn State’s outside shooting attack. Penn State had zero bench points, relying entirely on the starting guard of Tony Carr, Lamar Stevens, and Shep Garner. Led by Stevens’ 22 points, the Nittany Lions hit 12 of 23 three-point attempts, including seven in the first half – many of them un-defended. Carr added 16 points and Garner chipped in 12 for Penn State. Iowa’s Jordan Bohannon had a rough night, with only 8 points, and 3 turnovers and four assists. The guard-heavy Penn State roster tired out Bohannon and Isaiah Moss, the only two true guards playing significant minutes on the Iowa roster as Connor McCaffery recovers from injury. Iowa (4–4, 0–1 Big Ten) struggled with turnovers as a whole, with Cook giving up the ball five times (on an otherwise stellar afternoon for the sophomore), Isaiah Moss turning it over four times, and four other Hawkeyes coughing up the ball at least twice. Even an advantage in rebounds (39 to Penn State’s 30) was not enough to overcome the turnover woes. Penn State (7–2, 1–0 Big Ten) took command early in the game, hitting their first six field goal attempts to jump out to an 11–2 lead that they never surrendered. The only time the Nittany Lions were not in the lead was when the score was tied, 2–2. Beyond the success of the guards, Penn State also had valuable contributions from sophomore forward Mike Watkins, who was 9–13 from the field and had 19 points. 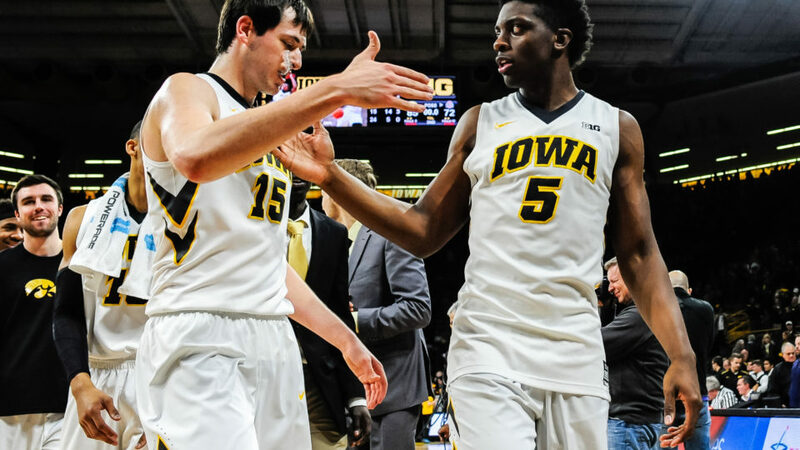 For Iowa, Cook did all he could inside (7–13 shooting, and an improved 9–13 from the free throw line), but saw minimal help from his frontcourt teammates. Luka Garza, Jack Nunge, Ryan Kriener, and Cordell Pemsl had just 13 combined points. 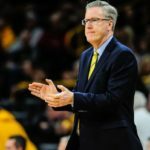 With 12 seconds left, and the Hawkeyes down two, McCaffery and the Hawkeyes elected not to intentionally foul the Nittany Lions, hoping for a turnover – and he almost got one. Nicholas Baer made what appeared on replay to be a clean strip of Carr near the sideline, but was called for a foul, sending Carr to the line to sink the two free throws that ultimately put the game out of reach. Both teams are back in Big Ten action on Monday – Iowa travels to Assembly Hall to play Indiana, while Penn State returns home for a tilt with Wisconsin.